"Mei 媚姐" is an animated documentary that takes you through a girl's afternoon with her nanny Mei. It captured moments I reminisced about my childhood in Hong Kong. Combining animation, cutout photography and video, the film also brings the unique culture of Hong Kong to life. This was a personal memory dedicated to my nanny, Mei. Mei is one of the most inspirational women in my life. She has taught me kindness, patience and perseverance through her unconditional love. Throughout the ideation stage, I wrote down and sketched out objects, moments and places drawing from my childhood memories with her. 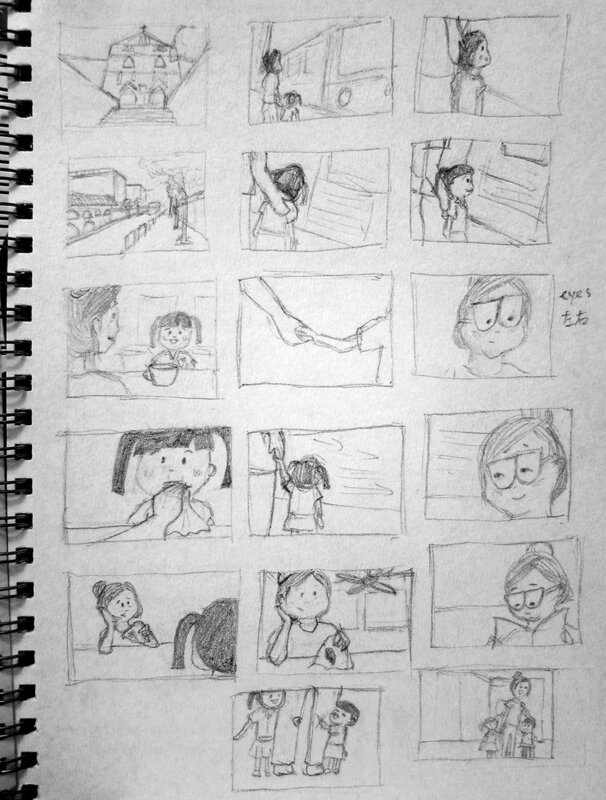 At the end, I decided to capture the day in the life of Mei and I (as a child) spent on a summer afternoon. I wanted to bring an element of realism into the film for this memory to come to life. This mixed-media technique combining photography, live action and animation was the best medium to tell this story, with animated characters as a delicate, personable touch. I shot the live footage and recorded sounds from the streets, cafes, restaurants (茶樓) and on different public transportations in Hong Kong. “Mei 媚姐” was the Official Selection of Los Angeles International Children's Film Festival , Adobe First Frame, Athens ANIMFEST, CAAM Fest, Boston Asian American Film Festival, and more.